Hi. I've got a Japanese Eggplant plant that seems to be doing really well. 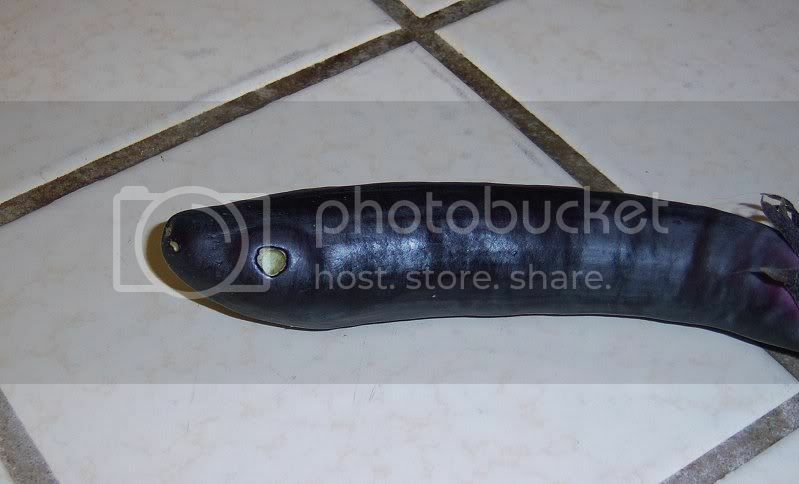 The problem is that by the time the eggplants are big enough to pick, they all have one or two holes bored in them. I've never found a worm or parasite in any of the holes, just the holes themselves. What's causing them, and what can I do about it? I've heard of "flea beetles" that make holes in eggplant leaves, but the leaves of the plant are fine. Not sure but I would like to know. ALL of my ripe cantaloupe were the exact same way. Just like someone drove a pencil in about eraser deep and that's it. I feel like I'm blaming the slugs for everything these days, but I have tomatoes that have holes like that -- shallow, not going through -- and originally thought they were tomato borers/corn earworms. BUT, the other day, I found a slug curled in one hole and a snail snug inside another. Could they be it? applestar wrote: I feel like I'm blaming the slugs for everything these days, but I have tomatoes that have holes like that -- shallow, not going through -- and originally thought they were tomato borers/corn earworms. BUT, the other day, I found a slug curled in one hole and a snail snug inside another. Could they be it? That is what I'm thinking there are a bunch of little white slugs here. I have also found three 5-6 inch brown slugs in the past few day's that were on there way to hide in my yard and my neighbors garage. I get up too early for that. Not sure if that is my prob but it could be. I guess it could be slugs. I've certainly had snail/slug issues at other times, especially when I first planted the garden. Usually if it's slugs or snails though, I see their slime trails. And they usually eat more of the plant. I think slugs. They've ruined every pepper I've got growing except some of the jalapenos. They attacked the leaves too. 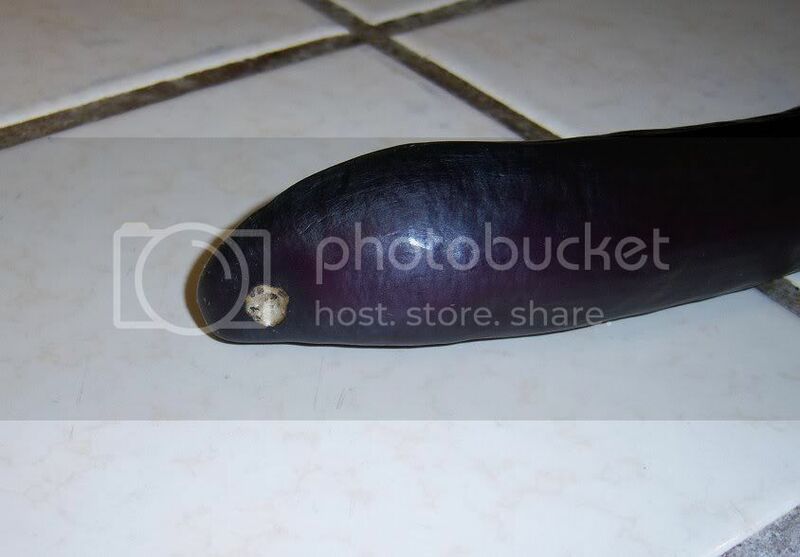 How do you know when to harvest eggplants?